In recent months, there have been countless topics of vital importance to discuss; in some cases, potentially cataclysmic ones, like the quite obvious escalation of the Ukrainian conflict, irrespective of comical Western propaganda suggesting otherwise. Not that the Ukrainian revolution is the world’s top “horrible headline”; as in our view, myriad others are equally ominous. However, it is certainly a major issue and currently embraced by the squirrel-like attention span of the MSM – despite not even holding a place in the “top ten” reasons I hold the majority of my liquid net worth in PHYSICAL precious metals. A position, I might add, that I intend to hold until the global monetary system inevitably collapses; to be replaced, as it always is, by real money. At the Miles Franklin Blog, we write “early and often” of such topics, as we have regarding Ukraine this week. However, our goal is to educate readers from all angles of the macroeconomic landscape, particularly as relates to precious metals. And regarding the latter, perhaps the most valuable information we can impart is knowledge of how “the Cartel” – i.e., a U.S. government led consortium charged with manipulating the perception of fiat currencies – surreptitiously and illegally, suppresses precious metal prices. These days, essentially all global financial markets are manipulated to this end; but particularly gold and silver, which given their age-old roles as money, compete directly with unbacked, hyper-inflating fiat currencies like the dollar. David Schectman was writing of PM manipulation long before I got involved in the sector 12 years ago; whilst Bill Holter and I became “famous” in the alternative media world by writing of this topic for the past decade. Long before joining Miles Franklin in 2011, I was dissecting NFP reports for the frauds they are – including the ever-expanding use of “seasonal adjustments” and the BLS’ “birth/death model,” created in 2003 to whitewash a labor market in permanent, secular decline. Lately, government efforts to obfuscate the true labor situation – as depicted by labor force participation at 35-year lows; per capita real disposable income at 50-year lows; and average weekly earnings at pre-Lehman levels; have become so blatant, it’s a wonder the NFP report is still observed at all (which it decidedly wouldn’t be, if not for the algorithms causing dramatic market swings in its aftermath). To wit, the government now considers part-time jobs the equal of full-time ones; and minimum wage food service jobs the same as high paying manufacturing ones – which I guess it must, given the latter are all but extinct. And worse yet, when even the best of government efforts to “massage” data fail, they simply make up jobs out of thin air – as in the October 2012 report (i.e., the last one before the Presidential election), which we now know was supported by “fabricated jobs” created by government decree. Not that the birth/death model and “seasonal adjustments” don’t accomplish these same ends each month. However, what occurred in October 2012 – and possibly, still to this day – was flat out illegal; as opposed to the “legal” data manipulation we witness otherwise. Generally speaking, the NFP report’s “quality” has degraded so badly, it not only fails to describe the actual labor situation, but has little or no correlation to other economic data published during the relevant period. For example, February’s economic data – across the board – has been decidedly negative, including every imaginable metric related to employment. Essentially all diffusion indices, regional Fed surveys and even jobless claims themselves have reflected a dramatic weakening in labor demand; much less, Wednesday’s massively disappointing ADP employment report. The ISM non-manufacturing employment index plunged so sharply (below), it actually predicted negative February jobs growth; and whether the weather was a factor or not, the fact remains that February was far colder than January, with more weather disruptions. However, TPTB have an agenda guiding how they present economic data; particularly, the “extremely important” NFP report. At times, they will actually under-report data to make the situation appear worse than is, but most of the time their primary goal is convincing us “all’s well.” FYI, even the most “under-reported” data dramatically overstates the truth; but suffice to say, there are times when the government – which itself sets NFP “expectations” – views it favorable to report “weak” data. A perfect example – as we wrote in “3.0% – nuff’ said” – is when interest rates rise beyond their level of comfort; at which point, nothing aids the Fed’s QE program better than mindless algorithms buying Treasury futures based on “weak” NFP data. I’m looking forward to how the Obama Administration – er, the Bureau of Labor Statistics – presents tomorrow’s non-farm payrolls report. Essentially all economic data points to a third straight miserable report; not to mention, yesterday’s ADP shortfall, and the below, damning chart (of the ISM non-manufacturing employment index). And thus, we’ll have to see what its political agenda truly is – particularly as Janet Yellen’s first FOMC meeting is less than two weeks away. The BLS’ sole goal is perpetuating the myth of ‘recovery,’ while simultaneously maintaining the QE necessary to prop up financial markets. In other words, the government is “walking the tightrope” between its propaganda of a strong “recovery” and the desperate, irreversible need to not only maintain, but eventually increase QE to support its fiat currency Ponzi scheme. Obviously, these ends are contradictory, which is why we are so confident they will “fall off the rope” shortly. Frankly, it’s no different than the COMEX trying to purport legitimacy of its gold inventory statistics, when for weeks on end such inventories don’t decline despite claims on essentially all of it. Or, on the topic of fraudulent employment data, the BLS reporting an unchanged Labor Force, when 1.3 million people are documented to have left it in late December; plus, some percentage of the 3.6 million others scheduled to do so throughout 2014. As for the COMEX, I guess this lie can be excused, now that the CME has placed this disclaimer on all inventory reports. But as for the BLS, there is no reason why the Labor Force Participation Rate hasn’t plunged further; other than the government protecting the Fed from looking like complete buffoons, in last year creating a 6.5% unemployment rate “threshold” to end its Zero Interest Rate Policy, but in December “cancelling” it due to its lack of relevancy. By simple math, the “unemployment rate” should have fallen well below 6.0% in the last two months alone; and by year-end, if calculated consistently, it should be approaching 4.0% – amidst the worst economic environment of our lifetimes! Anyhow, the report came out and NFP job gains were “better than expected,” at 175,000 compared to the 152,000 consensus, with a 6.7% “unemployment rate” versus the expected 6.6% (wait, isn’t the latter a negative?). Let’s just “suspend disbelief” for a moment; and thus, ignore the fact that such a miniscule “beat” is immaterial both absolutely and statistically; not to mention, that it didn’t even keep up with population growth. And, of course, that once the supporting data became available, it – as usual – depicted dramatically worse job “quality” than quantity; including the lowest earnings growth since the 2008 financial crisis (due to more than half the growth occurring in the education, leisure/hospitality, temporary and government sectors); and my personal “favorite” – the fact that all new jobs created were in the over-55 segment (which pays the least), as has been the case since the Fed’s money printing party commenced in 2008. This is how all NFP reports have looked for years; and thus, even the least financially literate should be able to discern the reality of the situation – a reality, of course, which would be much worse if thousands of “phantom jobs” weren’t being created by the various, aforementioned statistical gimmicks. As always, the government’s PAPER market algorithms were on the job, smashing PMs within seconds whilst goosing the historically overvalued “Dow Jones Propaganda Average.” In the former’s case – despite the dollar index falling to multi-month lows, as oil prices surged – gold was hit for nearly $20 within seconds; and silver, a comical 3%. Due to the incredibly low physical supplies of silver – as we wrote of in yesterday’s “Silver Anniversary,” silver is the Cartel’s “Achilles Heel – which is why it is always attacked so viciously. In last year’s “irrefutable manipulation statistics,” we demonstrated how paper silver experienced a 2+% intraday decline on 54% of all trading days in 2013. And in 2014, you ask? Yes, with silver up 8% year-to-date, it has been forced to endure a 2+% intraday decline on 60% of all trading days – and if the bar is set lower, at 1+%, this percentage is closer to 90%! Gold has since recovered to be down just $11/oz., and silver $0.45/oz. However, in typical Cartel fashion, both are being capped at the arbitrary “lines in the sand” of the day; in the former’s case, at the round number of $1,340/oz., and for the latter, the round number of $21/oz. – as the Cartel never allows “key reversals” to occur midday, especially when it’s determined to “prove” PMs are falling for fundamental reasons, like “strong” NFP reports. Meanwhile, with European stocks collapsing into the close – on fears of escalation of the Ukrainian crisis – the Dow has three times fallen back to the unchanged levels – only to be rescued by the PPT each time. In our view, “the game” is in its final stages; as even the world’s most powerful criminals can only “walk the tightrope” for so long. Whether they are done in by the Ukraine, the Federal Reserve or an as yet to be seen “black swan”; we have no idea. However, all 599 prior attempts at fiat currency regimes have failed, and this one – by far, history’s largest – will do so as well. Moreover, with the supply/demand dynamics of Precious Metals never tighter – and likely to get much tighter still, perhaps NOW – this may be the most attractive, and potentially short-lived, opportunity to protect one’s financial assets EVER! I follow the gold and silver charts from kitco daily now and it makes me angry. How can this go on without the smart money complaining. Why would anyone invest in a rigged market? When they slam gold down with selling future contracts don’t they have to actually sell physical gold at that low price months from now? And if so, they will have to try and buy that gold on the open market and deliver? Is that called squeezing the shorts if the price rises and they have to sell at a loss? But if they don’t have to deliver gold in future say the buyers of those contracts don’t want delivery does that mean they settle in cash? But it’s still a loss for the seller. Trying to wrap my head around this manipulation. Do the Chinese come in and buy these future contracts and take delivery? The comex makes me mad too, I don’t get how it can stay viable with no gold, don’t the players know? Seems no one cares as long as a buck can be made and no one asks questions because it’s at the heart of the banksters. Absolutely, Keith, on all counts. Except we are not “investing” in PHYSICAL PMs, but saving in them. In time, such games always crash on the manipulators; and when this one does – i.e., the biggest such crash ever – only those holding the real thing will survive. Perhaps, if the worst-case scenario of widespread social unrest plays out, literally. One more thought, King world news had an interview and mentioned no one in stock market will stop the party, stocks are welcome to keep rising but it’s the bond market that once those buyers are convinced the fed is trapped, that is, keep printing to keep rates low, that bond holders will say inflation is to high for these yields at will finally demand higher interest rates. I’m starting to think bond market does not care either, just don’t know enough about the inner working of it. 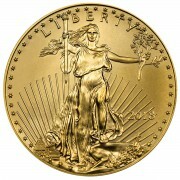 Andy: I have been following your comments for some time now regarding the manipulation of gold prices. I just received this link on an article regarding manipulation which throws a different light on the subject. Any comments? I think you know my view on the topic of manipulation, which will NEVER change. Regarding the article, I simply don’t have time to read everything I am sent. However, if you have a specific question about it, I’d be happy to answer it. As you probably know, Paul Tustain, the author, started BullionVault. 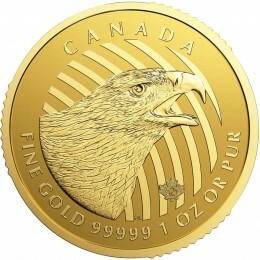 I currently use them to store gold bullion among other companies…and regularly buy american eagles. He apparently has a physics background and the analogy of gold pricing to the Heisenberg uncertainty principle is interesting. I think his point that simple price charting that does not take into consideration volume of each transaction can be very misleading. It appears he has consistently been of the view that there is no price manipulation. Given your position, I was interested in what you thought of his line of logic in his article…but you will have to read it before offering an opinion…at least that is the way I see it. If he believes in no manipulation, I won’t even dignify reading him. And no, I’ve never heard of him. Worse yet, if he thinks prices have do with physics – geez!